Travel Exclusive: Pump up lashes for a longer, more uplifted look with Lash Power Mascara. Our specially engineered brush seeks out every last lash for eye-opening curl. Resists sweat, humidity—even tears. Yet removes easily with warm water. 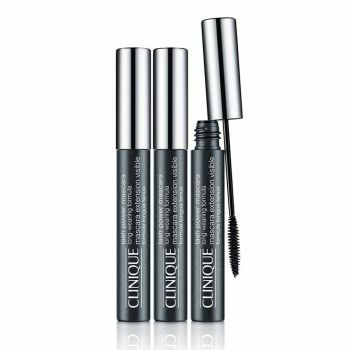 Here, three mascaras in Black Onyx at a great value. Ophthalmologist Tested. Allergy Tested. 100% Fragrance Free.